The Jules collection by Jennifer Taylor Home is the perfect addition to any living space looking to add a bit of a traditional flair. The fabric selected for the collection features Polyester blends and engineered for long life. Our wood frames are made from kiln dried birch wood which provides exceptional support and stability. This unique design is accented with hand applied nail head trims along the corners. The Jules is an ideal choice for the entryway, hallway or living areas. This ottoman brings class and lounging comfort to any room in the home, whether it’s used as a footrest or additional seating for guests. We offer a unique versatility in design and make use of a variety of trend inspired color palettes and textures. Our products bring new life to the classic American home. 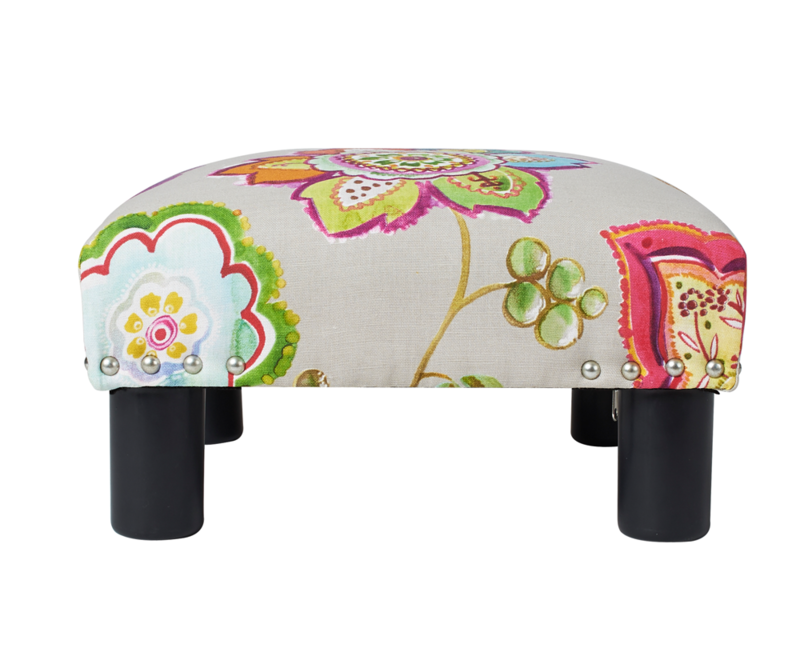 The Jules ottoman is something extra for you. It boasts a traditional style while its wood frames are made from kiln dried birch wood which provides exceptional support and stability. This small, beautiful piece will brighten up any room. This unique design is accented with hand applied nail head trims along the corners. Relax and rest your feet on this comfortable footstool. Comes in a variety of eight colors to choose from. This adorable stool is perfect for our little dog getting up on the couch or on the bench at the foot of our bed. We love it. We bought this cute ottoman as an “assistance” piece to help our elderly dog get up and down from our bed! Works great - plus it looks adorable! I will recommend to anyone that's looking for a little extra help when climbing on-to a high bed frame. It saves on over stretching your limbs. My beautiful footrest is also useful at the end of a long day when my feet need to be elevated while sitting. The fabric is so cheerful: it makes me smile! Its beautiful!! Fits perfectly in my living room!! I get all kinds of compliments when I have company and people fight over who gets to sit there! 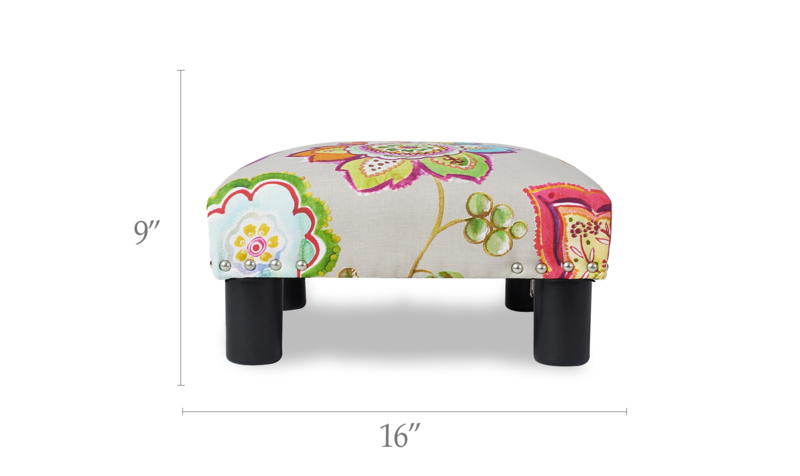 Very cute small, low ottoman. Great floral print. I use this under my desk as a foot rest and sometimes use it for our dog to look out a window. Having owned this bench for years, it still looks new. Looks great; color exactly as pictured: antique mint green. Material is very comfortable to touch.